Some of you might notice I haven’t been around much lately. I apologize, and want you to know I haven’t forgotten you–I’m just behind on my emails with a lot of catching up to do. Well, I’ve been deep in edits on my upcoming Christmas story called Holiday House Swap. I’m so excited about this one, guys! It’s a fun little story about opposites attract when circumstances throw an in-the-closet writer and a forcibly retired Air Force major into frivolous circumstances. This one’s a feel-good story for the holidays, and should be out from Dreamspinner Press in December. I’m also working like mad on the next story–which I *must* finish before the first of the year: the next (and final) installment of The Sixth Sense series. I’m thrilled to announce that the entire series is getting a new look with new covers because I’m releasing an expanded version of the first story, Unspeakable Words! That’s right, Unspeakable Words will be coming out soon with extended scenes and the sorts of details everyone’s been begging for! I can’t tell you how pleased I am to be able to share this information with you! I’m also running a sale on Fool’s Gold soon (as soon as I can set it up). I’ll be offering an epilogue to the story–but it will be available only to those who sign up for my newsletter. I’ll make an additional announcement when I get that in place too! 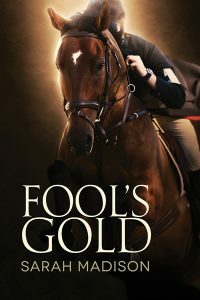 Which reminds me–Fool’s Gold is up for Book of the Week at Love Bytes Reviews! I know it doesn’t stand a chance of winning (I’ve seen the competition and it’s fierce!) but if you’d like to vote for it, the poll is at the link in this paragraph. And I almost forgot! 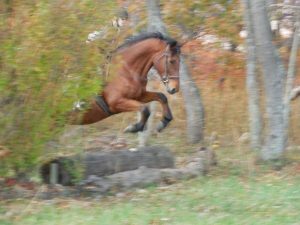 My monthly blog post is up at Author’s Speak at Rainbow Gate, where I discuss the dangers of comparing yourself to others. This doesn’t apply just to writing–the advice is applicable to everyone! Do drop in, check it out, and tell me what you think. And work just called me in early… Whew! No wonder I’m distracted and am behind on my correspondence! I promise I’ll catch up soon, though! This entry was posted in Uncategorized and tagged announcements, discounts, Dreamspinner Press, gay romance, GLBTQ, male male romance, promo, Sarah Madison, The Sixth Sense Series, Unspeakable Words, upcoming release, writing by Sarah Madison. Bookmark the permalink. Can I just sign up for your newsletter here and now? Because I so DO NOT want to miss the Fool’s Gold Epilogue. That’s fabulous news. I’m also looking forward to what sounds like a wonderful Christmas story and I guess I’d better wait for that rerelease of Unspeakable Words before I dive into that series. So much to look forward to! I’m tickled with the Christmas story (I *love* holiday stories with a passion!) and definitely, I would wait for the revision on book one of the Six Sense series before starting it–hopefully it will be out the first of the year! I am an absolute *sucker* for ‘snowed in the cabin’ stories and home for the holidays stuff too. I get my fix every winter! It’s funny how addictive they can be! I’d love to read a holiday story set in Dublin–I’m going to have to look for yours. What’s it called? Cool! I’ll look for it!